The husband and wife team of Stephané and Dana Vivier bring a Burgundian sensibility to wines made from California and Willamette Valley grapes. Winemaker Stephané grew up in Meloisey, Burgundy in the Hautes-Côtes de Beaune. He learned from a 70-year-old winegrower in Pommard. He obtained advanced degrees in viticulture and enology from Université de Bourgogne in Dijon, and subsequently worked in Switzerland, Sonoma and New Zealand. He was attracted to American vineyards where winemakers were not bound by tradition or AOC restrictions. Stephané became the winemaker at HdV (Hyde de Villaine) in 2002 and remains in that position. Dana pursued an MBA in Finance and International Management at University of California at Davis. While working for an investment management company specializing in high-end vineyards, she moved to Napa and met Stephané and now brings the business acumen to their partnership. 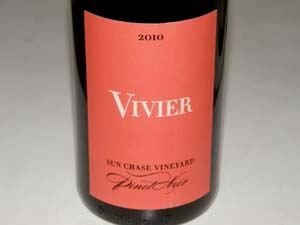 The 2010 vintage produced three wines: Sonoma Coast, Willamette Valley and Sun Chase Vineyard Pinot Noir. The first two wines sold out quickly. 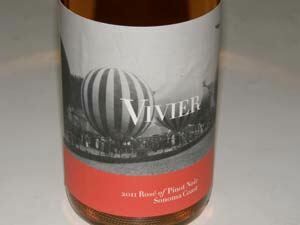 A 2011 Sonoma Coast Rosé has been released. The wines are sold through a mailing list and website store.